Two white South African farmers were yesterday jailed for a combined 41 years for the murder of a black youth who was thrown from a moving vehicle after being accused of stealing sunflowers worth around 80 rand (€5). Pieter Doorewaard and Phillip Schutte were found guilty last October of killing Matlhomola Mosweu (15) in April 2017. 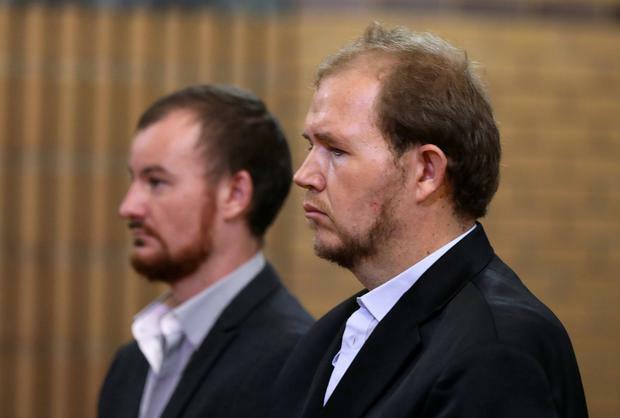 Yesterday, North West High Court Judge Ronnie Hendricks said in his sentencing that the murder was neither planned nor premeditated but that the killers had acted recklessly. "Murder is undoubtedly the most serious offence that can be committed," he added. Doorewaard will serve 18 years in prison, including 15 for murder, and Schutte will serve 23 years, 20 for murder. Both got three years for kidnapping, two for intimidation, one for theft and two for pointing a firearm. After the killing in the farming community of Coligny, residents set fire to homes and businesses owned by whites.